One of my joys of entrepreneurship is occasionally letting my kids skip their after-school program to have playmates over after school. Monday afternoon was such a day for my daughter K and her friend D. The two girls schemed for this event for a week. 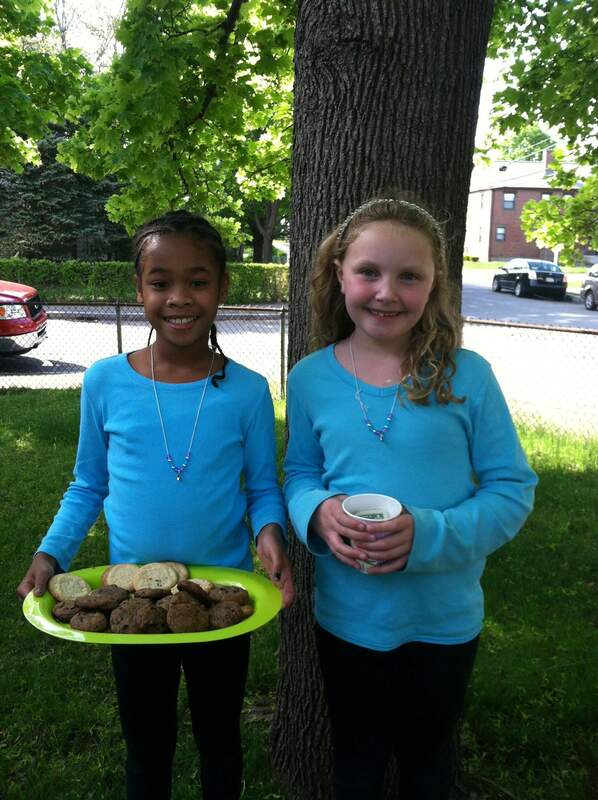 They planned to wear matching outfits, bake cookies, and go door-to-door in our neighborhood selling them. When K initially informed me of the agenda, I admit I was completely resistant. I was surprised at my resistance. Shouldn’t I have been excited that the Joy of Entrepreneurship could be catching on in my next generation? Then I remembered my secret truth: selling scares me. Oh, yeah – that. Believe in your product. The kids sampled both flavors (sugar and chocolate chip! ), so they knew first-hand how delicious they were and could speak to prospective customers about it. Note for Brilliance-Based Businesswomen: recognize and be able to articulate your Brilliance and its value. Knock first on the doors of the people who like you best. K didn’t methodically go up and down the street knocking on every single door. She started with the neighbors who know her. With each big sale, she and D felt more confident going to the next house. Note for Brilliance-Based Businesswomen: networking is great, but start by selling your services within your existing community. Buddy up. K can be shy at first, but D felt comfortable stepping right up to ask for each neighbor’s business. K handled the money. Eventually they felt ready to trade roles. Note for Brilliance-Based Businesswomen: if you can’t bring a friend or team member when you talk to your prospects, work with a mentor to learn the ropes until you feel comfortable going at it alone. I’m proud of myself for supporting my daughter to experience something that scared me a bit. Do I see the irony in having this fear of selling, when I teach entrepreneurship skills to women? Absolutely! But we all teach what we’re here to learn. It’s part of our Brilliance. My recent post How To Find Free Pictures For Blog Posts. Thanks for taking the time to comment. Don't the biggest lessons come from the smallest moments? Oh, if only adults held a child's heart & mind around selling! I love that my work helps so many entrepreneurs ditch their negative association of selling so they can share their "cookies" with more peeps. Thanks for sharing such an inspiring story, Debra. My recent post Giddy up! What are the girls' plans for their earnings? Great lessons, and kudos to the girls for their hard work! I also have a not-so-secret fear of selling. Allison, thanks for going out on a limb and admitting that with me in public. 🙂 I actually think it’s very common among us Brilliance-Based Businesswomen. The great news is that you and I are willing to work through it to have our successful businesses. Courage, as we know, is not having a fear, but having a fear and doing it anyway!